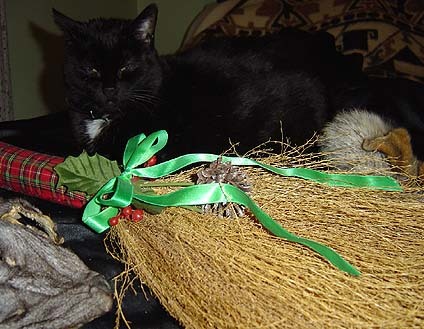 Here is some information about Cleansing..
and tarot cards too ..
he was put to sleep..
Jasper.. black cat hit by car..
same week day as Lady DIannia death..
All from kitty aides and Lekemia..
Place the candle in the middle of the room. purify this space of mine. 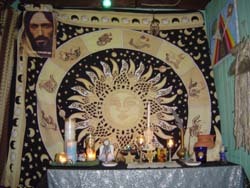 that I have chosen as magickal space. 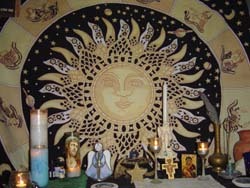 to me, this rite, this sacred sphere. 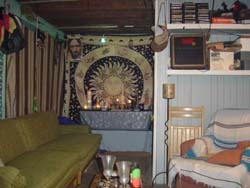 Hallow it now as my magickal space. you feel all energy is positive. Approve and favor my willing hand." "Earth and air, purify to good, blow away evil." "Air and fire, blow away evil, burn away pain." "Fire and water, burn away pain, wash away fear." bury all negativity, purify to good." the incense and say: "So Below"
been sick or has died. on top of a newspaper, set a blue candle. Surround with a circle of salt. Burn a little sage in the room. Light the candle, making sure it won't tip over. Close the door and let the candle burn down. leaving and bury far from your home. 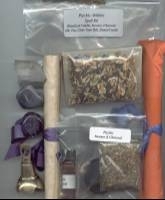 To cleanse a house - select four corners. purple or dark red, west - blue. attention to windows and doors. and sweep them up with the salt. inhabitant has been sick or has died. and let the candle burn down. and bury far from your home. your home of negative energy. Light the end of a sagebrush stick. Containing a shallow pool of water nearby. Of the stick to increase the smoke. in each of the four directions. As you face each wall of the room. That have no purpose in this household. As i make the sign of the cross ..
Return to the room you started in. Bowl of water to douse the embers. Take a sip of water from your glass. This home is a gentle and supportive environment. I offer gratitude to the universe that this is done. So it be And so it is. addition to anything else you use. do it however you feel most comfortable. Cast your circle as you normally do. I call you here to put things right. And help my life be whole again." Share with me this wine. womb Bring change most divine." within and outside of you. 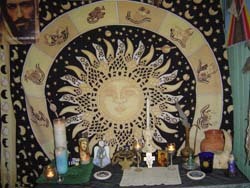 Leave the rest as an offering to Hecate. smudge your home, going clockwise. make sure your entire house is smudged. and yard bathed in a peaceful blue light. negative ones that have just been banished. the negativity will come right back. them to keep away negativity. small one with me at all times. your home and your life. Close the Circle and know that it is done. Begin with a purification bath. 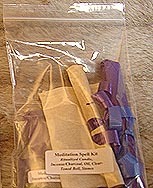 and burn a protective and/or cleansing incense. (be sure to consecrate it) and blessed salt. From those who have gone before. Who dooms itself to shame and unhappiness. Save him if it is thy will to do so. I sing; Forgiveness the word most precious. In thy everlasting grace I say this. In humility I ask this. So mote it be." and proceed to the south. From which all life comes. of the earth, the ground On which we stand. doorways and in all corners. point with the holy water. the same verses substituting "fire and air"
in place of "salt and water." each window, doorway, and mirror with the athame. Proceed room by room spiraling clockwise. Draw a pentagram in the air in the incense smoke. Of the Goddess and the God. 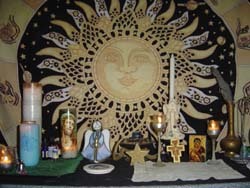 This space is divinely protected. This space is perfectly safe. space Unless I (or my loved ones) allow them to. and for the work of positive magic. All harm is sealed out." 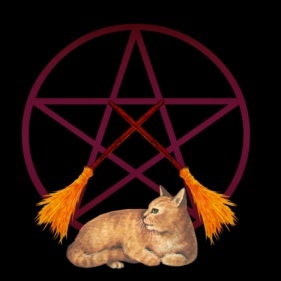 And so mote it be!" and st Michael the Arch Angel. You will feel light and free of any darkness. workings, like prosperity, health, love etc. time you finish, just start at the proper time. is good since these are some of Saturn's colors. (don't burn), strain into a bottle or jar. 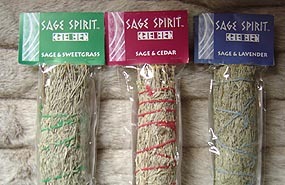 to air out your space with sage. Be bathed and wear some uncrossing oil. Wear your ritual clothes or clean garments. and water to come to your space to purify it. You can include your favorite wights or protectors. Make this as personal as possible. entity you've never heard of. the purification of your working space. ask him/her to send them back to their origin. They have no place in your life. just say it with conviction. the negativity around you. Now light the candle. 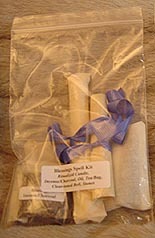 The parchment paper is your seal. it will do the work for you. but it can simply be something you create. leave it there until it burns out. and ask them to depart and do your bidding. (never blow on the fire element). for anyone to touch (including Freyja). This is the end of you ritual. Never miss a single day. front door and forget about it. may wisdom guide you on your path!? people out there who can help too..
Wilder Witch ... 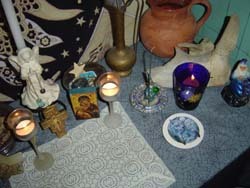 Happy Lammas...& blue moon..
in perfect love, in perfect trust. an ye harm none, do as ye will. and merry ye meet and merry ye part. 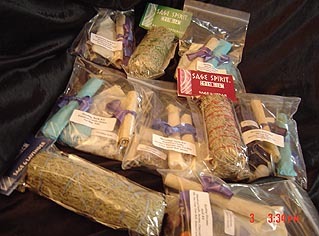 various types of Sage Smudge sticks..
which I use too and really do enjoy!" added to your shopping cart checkout. White sage from the coastal mountains of California. 8 to 9 inches long and about 1� to 2 inches wide. strongest scent of all sages we have. and are perfect for one-time use. 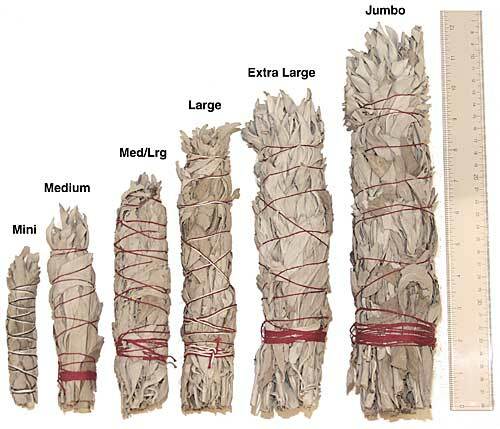 White sages and the various sizes. and stones/crystals aprropriate to desired intent. 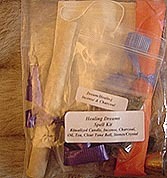 can be purchased from A WILDER Witch Store too! 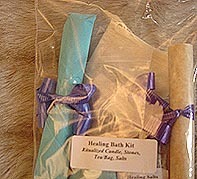 This is a simple bath magic kit for $17.99. to enhance the energy vibrations. 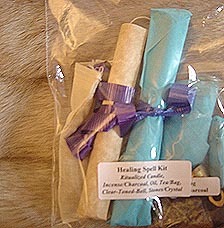 This is a simple shower magic kit for $17.99. herbs will be included. 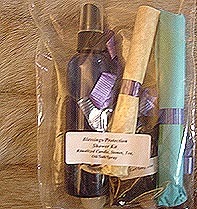 Purchase Price $17.99. 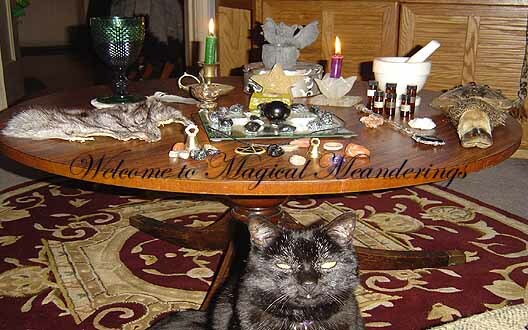 and also cold reading, pendulum, seances, and tarot. from a loved one you just received? 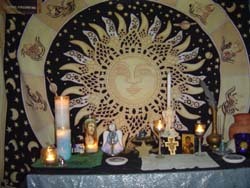 or wiccan and Pagan ideals? 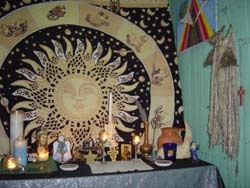 Are you interested in a Tarot or Cold Reading? Share your thoughts and opinions!! Come join in on the fun !!! 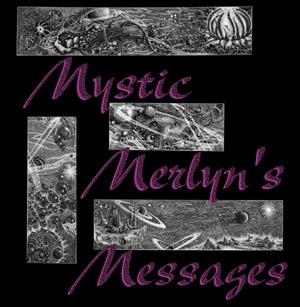 Welcome to Mystic Merlyn's Messages. 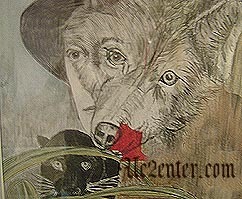 Copyright � 2000-2005 All Rights Reserved.